Broomwood Road is in Clapham. 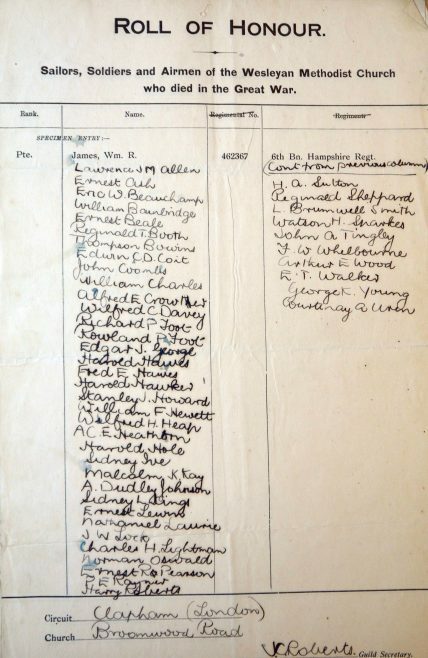 The war memorial for the Clapham Common area (Holy Trinity) is untranscribed, and none of these 45 men appear to be on any memorial known to the Imperial War Museum, so this roll of honour will be their only published memorial. In the list which follows those names in bold are men whose graves are unambigously recorded by the Commonwealth War Graves Commission.